"Come back before sunrise, irrespective of the success or failure of the mission". This was the message of Prime Minister Narendra Modi to the Indian Army Special Forces' commandos who went across the Line of Control (LoC) on September 28, 2016 to carry out surgical strikes at terrorist camps in Pakistan-occupied-Kashmir. The Prime Minister said the surgical strikes were planned as there was a "rage" building up within him as well as the Army after soldiers were burnt alive in the terror attack in Uri. "I gave clear orders that whether you get success or failure, don't think about that but come back before sunrise. Don't fall for the lure and prolong it (the operation)," he said, turning a bit emotional while discussing that operation. "I knew it was a big risk. I never care about any political risk to me. The biggest consideration for me was the safety of our soldiers," he said. He said he didn't want any harm to come to the commandos who were "willing to sacrifice their lives on our word." He said he was "anxious" throughout the time the soldiers were on the other side of the LoC and the moments became "extremely difficult" when the information flow stopped for about an hour in the morning. "In the morning, information flow stopped, for an hour. My anxiety increased. Even one hour after sunrise. That time was extremely difficult for me... Then came the information that they have not reached back yet but two-three units have reached the safe zone, so don't worry. But I said I won't be fine till the last man returns," Modi said. 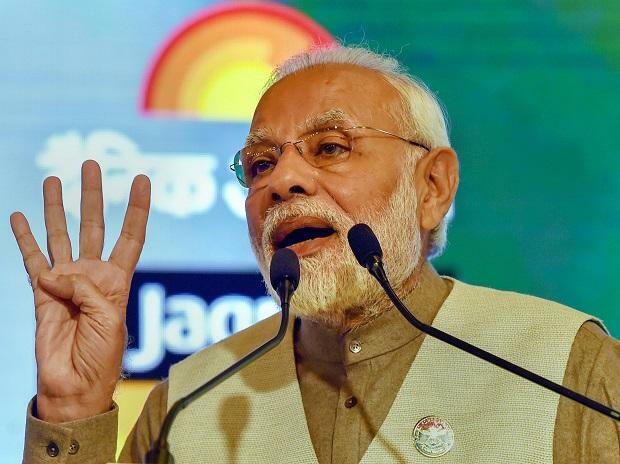 On politicisation of the surgical strikes, the Prime Minister said it was not done by the government but by opposition parties, which "raised questions" over the military action and cited the Pakistani version to "lend weight to their doubts". "An Army officer apprised the nation (India) of the operation. That information was given to Pakistan as well... But it is unfortunate for the country that the same day (of the surgical strike), leaders of some parties raised doubts over the surgical strikes," Modi said. "It was necessary for Pakistan to speak like this (to deny), to keep their morale intact. But what Pakistan was saying, was being said here too. To lend weight to their views, they were citing Pakistani version. Politicisation started from that point," he added. Delhi CM and AAP supremo Arvind Kejriwal in a series of tweets post surgical strikes raised doubts over the veracity of the Government's claims. Kejriwal said that Pakistan had invited foreign journalists to view their side of the border to ascertain claims of a surgical strike. "BJP I believe you. But international media publishing Pak propaganda that no strike took place. Lets expose Pak propaganda," tweeted Arvind Kejriwal on October 4th, 2016. PM Modi added that the opposition leaders were speaking "rubbish" and "those who raised doubts over the Army action, were wrong and such politicisation should not have happened". "If we don't hail the valour of those who stake their lives for the country, then who will? So praising the Army should not be considered as politicisation," he said. But then he went on to add, "Ek ladai se Pakistan sudhar jayega, yeh sochne mein bahut badi galti hogi. Pakistan ko sudarne mein abhi aur samay lagega (It will be a big mistake to think that Pakistan will start behaving after one fight. It will take a long time for Pakistan to start behaving). Talking about the Uri attack, Modi said, "That incident made me restless and there was rage within me. I had gone to Kerala and made a mention of this. Because I could not stop myself. Modi said that while talking to the Army, he realised that they wanted justice for their martyred soldiers and the government gave them the "free hand" to plan and execute the surgical strikes. "The topography and obstacles were kept in consideration... It was a learning experience for me as well," Modi said.